El tema "Gone in september" interpretado por Mike Posner pertenece a su disco "31 minutes to takeoff". 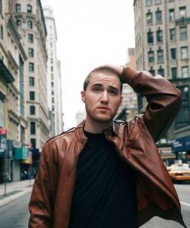 Ahora puedes escuchar y aprender la canción "Gone in september" de Mike Posner. But will I love you in the fall? When did I become one, one, one of the bad guys? Escuchar Mike Posner Gone in september Lyric Video.